When I got an email asking whether I would review samples of three Pinot Blancs from France’s Alsace region, I wholeheartedly accepted because I generally very much like Alsatian Rieslings and Gewürztraminers, but I was not familiar with their Pinot Blancs so it sounded like a great opportunity to make myself an idea. Plus, Pinot Blanc is not a grape that you often see in varietal (as in, 100% Pinot Blanc) wines: it is more often used as a blending partner of other grapes, including in the context of the blend of certain French or Italian Classic Method sparkling wines together with Chardonnay or Pinot Gris and Pinot Noir. So, let’s get to it and let me tell you how I liked them. Well, before we even start talking about Pinot Blanc, let me just reiterate something that I mentioned on my previous post about the Alsace AOC appellation. Now, this kind of bothers me: I mean, how would you like it if you went out to buy a Toyota and they sold you a Nissan that is however branded as a Toyota? Nothing wrong in my book with either a Toyota or a Nissan, but one should be able to get what they went out to buy, right? Anyway, two out of the three wines that I reviewed were exactly in the situation described above (for details, see below in the individual descriptions). One of the wines was a truly varietal Pinot Blanc, the second wine was a blend of Auxerrois and Pinot Blanc, and the third one was a blend of Auxerrois, Pinot Blanc, Pinot Gris and Pinot Noir. So, the first wine was 100% Pinot Blanc, while the Pinot Blanc component in the blends of the second and third wines combined was just 50%, hence the title of this post. For information and cool facts about all the varieties that were used for making those three wines, please refer to my previous post about the Alsace AOC appellation or click on any of the grape variety links above which will redirect you to the relevant entry in our Grape Variety Archive. For an overview of the Alsace AOC appellation and the Alsace wine region, its terroir and main grape varieties, please refer to my previous post. Here below are my reviews of the three wines that I tasted, as well as some high-level information about their producers. It is interesting to note how the second and the third wines were similar in style, while the first one had a style of its own. As always, for my reviews I will use a simplified version of the ISA wine tasting protocol that we described in a previous post: should you have doubts as to any of the terms used below please refer to that post for a refresher. For your own structured wine tastings, consider downloading our FsT Wine Tasting Chart! My Overall Opinion: In a nutshell, to me there was a clear winner among the three 2013 Pinot Blancs that I tasted in this mini-horizontal tasting exercise, and that was the Meyer-Fonné Vieilles Vignes Pinot Blanc. It was the wine that delivered the most complete package among the three, with a nice nose and a very pleasant, interesting mouth, and it was the most balanced of the three, with its smoothness being effectively countered by intense minerality and tastiness. Then Domaines Schlumberger’s “Les Princes Abbés“ snatched second place, with a wine whose pleasant mouthfeel was penalized by its timid and narrow nose. Albert Mann’s Pinot Blanc came in last, as the wine’s good nose alone was not enough to save a mouth that lacked those levels of acidity and tastiness that would be desirable to effectively counterbalance its smoothness and make it interesting. Below you can find my detailed reviews of the three wines and decide for yourselves. Albert Mann is an Alsatian winery that manages a 21 HA/52 acre estate which hosts five Alsace Grand Cru wines (i.e., Schlossberg, Furstentum, Hengst, Steinbrugler and Pfersigberg – for more information about the Alsace Grand Cru AOC, please refer to our previous post about Alsace). The winery applies organic and biodynamic methods to grape growing. The wine that I reviewed was made out of 100% Pinot Blanc grapes grown according to biodynamic agriculture methods at Albert Mann’s Kientzheim and Wettolsheim vineyards on marl limestone soils. The average age of the grapevines is 25 years. The must was fermented in stainless steel vats. The wine was 12.5% ABV. Our Detailed Review: In the glass, it poured straw yellow and moderately viscous. The nose was moderately intense, moderately complex and fine, with aromas of peach, Mirabelle plum, yellow flowers and mineral notes (flint). In the mouth, it was off-dry, with medium ABV, smooth; scarcely acidic and moderately tasty. The wine was medium-bodied and slightly off-balance, with intense and fine flavors of peach and Mirabelle plum, along with slight mineral hints. The finish was medium and the wine’s evolutionary state was mature, meaning drink now. Domaines Schlumberger manages an over 121 HA/300 acre estate in Guebwiller and is the largest Grand Cru producer in Alsace. The wine that I reviewed was a blend of 70% Auxerrois and 30% Pinot Blanc which was left to mature on its lees for seven months following fermentation. The wine was 13.5% ABV. Our Detailed Review: In the glass, it poured straw yellow with golden reflections and viscous. The nose was scarcely intense, scarcely complex and fair, with aromas of apple and citrus. In the mouth, it was dry, with medium ABV, smooth; moderately acidic and tasty. The wine was medium-bodied and balanced, with intense and fine flavors of citrus, along with mineral and saline notes. The finish was medium and the wine’s evolutionary state was mature, meaning drink now. The Meyer-Fonné estate was founded way back, in 1732. The winery does not use synthetic fertilizers, herbicides or pesticides to treat its grapevines. The wine that I reviewed was a blend of 65% Auxerrois, 20% Pinot Blanc and 15% Pinot Gris and Pinot Noir. The grapes were grown in a 6-acre vineyard on 40 to 50 year old vines and were hand-picked at harvest time. After pneumatic pressing of the grapes, the must fermented in stainless steel vats and oak barrels for a period of one to three months using natural yeast, after which it matured on its lees until bottling. The wine was 12.5% ABV. Our Detailed Review: In the glass, it poured golden yellow and moderately viscous. The nose was moderately intense, moderately complex and fine, with aromas of citrus, yellow peach, lemon blossoms, almond and a mineral note (graphite?) In the mouth, it was dry, with medium ABV, smooth; moderately acidic and tasty. The wine was medium-bodied and balanced, with intense and fine flavors of citrus and yellow peach along with noticeable mineral and iodine notes, making the wine almost saline. The finish was medium and the wine’s evolutionary state was mature, meaning drink now. This entry was posted in White Wines, Wine, Wine Reviews and tagged Albert Mann, Alsace, AOC, Domaines Schlumberger, France, French, Meyer-Fonné, Pinot Blanc, review, tasting, white, wine on April 27, 2015 by Stefano. The organization of the event was okay, except the totally unintuitive (at least to me) order of the tasting tables and the lack of an index of the participating wineries that would group them by region. I realize that it is useful to group them by importer (the way the index is currently structured), but there should also be an index by region, so that if one looks for a specific winery and does not know who their importer is, does not get to flip through the entire booklet to find out which table they are at. I seriously hope the organizers will consider improving the event booklet to fix this annoyance. In order to keep post size manageable, I have broken down my report into three chapters: Northern Italy, Central Italy and Southern Italy (including the islands). In this post you will find my tasting notes for my selection of the northern Italian producers. As always for this kind of events, I am going to list below those wines that impressed me most among the many great ones that I got to taste, grouped by region. It goes without saying that the list below is far from being complete and that there were many more very good wines at the event that are not listed on this post. Recent DNA analysis has identified a parent-offspring relationship between Savagnin (an old white-berried variety that is common in the Jura region of France) and Sauvignon Blanc and, there being much earlier documents mentioning Savagnin than Sauvignon Blanc, the former is believed to be the parent of the latter. DNA results also support the thesis that, contrary to common belief, Sauvignon Blanc did not originate from the Bordeaux area, but rather from the Loire Valley in France, where documental evidence dates back to 1534 (compared to 1710 in Bordeaux). However, it is interesting to note that, when Sauvignon Blanc was grown in the Bordeaux area, it spontaneously crossed with Cabernet Franc to create Cabernet Sauvignon. In New Zealand, Sauvignon Blanc was first planted in the 1970s and soon became the most widely grown variety in the country, especially in the Marlborough region. St. Michael-Eppan is a cooperative winery that was founded in 1907 by 41 grapevine growers in the Eppan (AKA, Appiano) area, in the north-east Italian region of Alto Adige, and has by now expanded to encompass 340 farmers. Out of the more than 1,000 HA of vineyards in the Eppan area, St. Michael-Eppan manages 380 HA where both white-berried varieties (Pinot Blanc, Chardonnay, Riesling, Sauvignon Blanc, Pinot Grigio, Müller-Thurgau, Silvaner and Gewurztraminer) and black-berried varieties (Pinot Noir, Cabernet Sauvignon, Merlot, Lagrein and Schiava) are grown. The composition of the soils where St. Michael-Eppan’s vineyards are located is a mix of glacial moraine debris, limestone gravel and alluvial soils. The Sankt Valentin vineyard, which sources the grapes for St. Michael-Eppan’s premium “Sanct Valentin” line, measures 18 HA and is located at 1,800-2,035 ft (550-620 mt) above sea level on limestone gravel soils in the Eppan Berg area. The wine that we are going to review today is St. Michael-Eppan, Alto Adige Sauvignon “Sanct Valentin” DOC 2013. As discussed, “Sanct Valentin” is the flagship line in St Michael-Eppan’s wine offering. The Sauvignon Sanct Valentin is available in the US where it retails at about $34. The Sauvignon Sanct Valentin 2013 is a whopping 14.5% ABV and is made from 100% Sauvignon Blanc grapes harvested from 10 to 28 year-old vines at an elevation of about 1,970 ft (600 mt) above sea level in proximity to the town of Eppan/Appiano (in the Bolzano district). 90% of the wine is fermented in stainless steel vats and then aged for about 6 months on its lees, with the remaining 10% being fermented and aged in wood casks. As usual, for my reviews I will use a simplified version of the ISA wine tasting protocol that we described in a previous post: should you have doubts as to any of the terms used below please refer to that post for a refresher. For your own structured wine tastings, consider downloading our FsT Wine Tasting Chart! In the glass, the wine was straw yellow and viscous. On the nose, its bouquet was intense, complex and fine, with pleasant aromas of nettle, lime, grapefruit, herbaceous notes, boxwood, a touch of butter and mineral hints. In the mouth, the wine was dry, with high ABV, smooth; acidic and tasty. It was full-bodied and balanced, with intense and fine mouth flavors of grapefruit, lime and mineral notes. Its finish was long and its evolutionary state was ready (i.e., wonderful to enjoy now, but it might become even better and more complex if it rests two or three more years in your cellar). The seminar taking place on an open space overlooking the hall where the main walk around tasting was underway, which resulted in considerable background noise making it difficult for seminar attendees to listen to the speakers. Brunello di Montalcino is a very well-known, quality red wine made in Italy’s Tuscany region based on strict rules set forth in the regulations of the homonymous DOCG appellation. 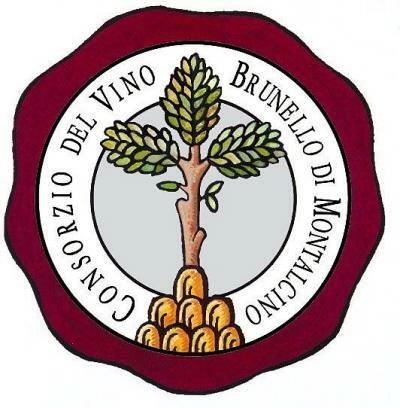 Brunello di Montalcino was established as a DOC appellation in 1966 and was upgraded to DOCG status in 1980. Pursuant to the DOCG regulations, Brunello di Montalcino wines must be made from 100% Sangiovese grapes grown in the area of the town of Montalcino (in the Siena district) and must have a minimum aging of 24 months in oak barrels (72 months for Riserva wines) and 4 additional months of in bottle aging (6 months for Riserva wines). Nowadays, there are about 5,000 acres of Brunello di Montalcino vineyards. 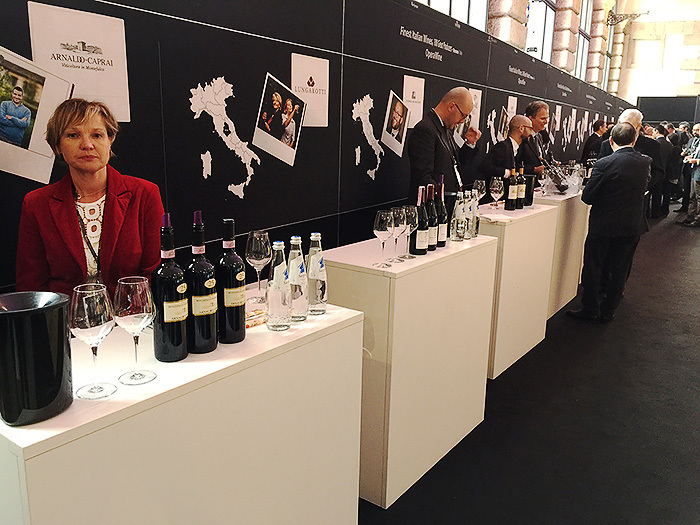 This entry was posted in Red Wines, White Wines, Wine, Wine Reviews, Winevents and tagged Benvenuto Brunello, Brunello, DOCG, event, Italian, Italy, Montalcino, Moscadello, Moscato Bianco, New York, red, review, Sangiovese, tasting, USA, wine on January 27, 2015 by Stefano.